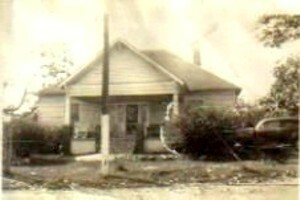 �.Years ago in rural Oconee County, Georgia, many of the homes had no plumbing. Many of us who were young children in the 1930's -1940's - 1950's will never forget the galvanized washtubs. When we weren't using them for baths��..
Jack Hogan, who grew up in Bogart and Oconee County in the late 30’s, 40’s and 50’s likes to write about his memories of those times. Jack attended Bogart Schools and graduated from Bogart High School in 1954. Jack is the eldest of three sons of Preacher Hogan, longtime Bogart Minister and Educator and Oconee County School Superintendent in the 1950’s. While four years younger, I also remember many of the things he describes in this article.Many of my peers and I started out in this world without inside plumbing and using wood and coal for heat. There are many nostalgic memories of those days and the people we knew.However, I would not want to return to the days of no bathrooms, air conditioning or refrigerators. That being said, most of us who lived through those times are proud and the better for the experience. It provided tempering and seasoning that later generations have not experienced. Jack often shares a Good Morning message with many folks on his email list.I am fortunate to be on that mail list.The article below came on August 31 and I thought it merited wider circulation than email lists. Years ago in rural Oconee County, Georgia, many of the homes had no plumbing. Many of us who were young children in the 1930's -1940's - 1950's will never forget the galvanized washtubs. When we weren't using them for baths, catching rainwater, or washing clothes with a scrub board, they generally hung on the back-porch wall. I have two old washtubs hanging in my garage. Why? …. Because I'm such a sentimental idiot. One of the tubs belonged to my grandmother Hogan. Yes, she lived in upper Tennessee, close to the Kentucky border. Those washtubs were essential for Mom to wash laundry. I am more than three score and ten years and, during my childhood days, I watched women in Bogart, Georgia graduate from a washboard stuck in a washtub to an electric washer wringer, and then to the automatic washer and drier. It is somewhat amusing today when I hear ladies (or men) complain about doing laundry. Most of the young married adults today never experienced doing laundry with a washboard, a couple of tubs, and a back and two arms. I can even remember my wonderful Mom boiling clothes in a huge copper looking pot of hot water. We kindled a fire under the pot and kept it hot enough to keep the water boiling. Mom would stir our clothes while the water boiled, then lift the clothes out of the pop, and put them in a tub with a washboard. She would rub the clothes with soap and then scrub them up and down over the washboard's ribbed surface. I don't remember Mom ever complaining about wash day at our house. I can even remember one time when I was just about knee-high to a grasshopper that Mom made lye soap in that pot. Man, I'm older than Georgia clay! Saturday night was bath time. My two younger brothers and I got a bath on Saturday night, "whether we needed it or not". When we were small boys, our baths were in the old galvanized wash tubs in the kitchen. Mom dipped warm water into the tub from the reservoir of the old fire burning kitchen stove. As we grew older, we would take sponge baths "all over" every Saturday night. After all, the next day, we'd be going to Sunday school and Church. Dad and Mom always wanted us to look our best and to wear our best when we went to worship God. May God's grace continue to be with you today, and may you make up your mind to be happy all day.